SAN FRANCISCO, CA--(Marketwired - April 22, 2016) - The developers of the Wise-Anderson Protocol for the treatment of a certain set of specific chronic pelvic pain syndromes have discovered that lowering anxiety and nervous system arousal is an indispensable component of effectively reducing chronic pelvic pain. David Wise, PhD, one of the Wise-Anderson Protocol developers, calls the need to lower autonomic nervous system arousal as addressing the systemic aspect of chronic pelvic pain syndromes. According to Dr. Wise, in most pelvic floor pain syndromes, nervous arousal chronically tightens up the muscles of the pelvic floor over the years. In the absence of regular nervous system lowering, the focus on loosening the chronically contracted muscles of the pelvic floor muscles through myofascial trigger point release, while essential, is short lived. The Wise-Anderson Protocol, popularly referred to as the Stanford Protocol, has been used and developed over the past 22 years to treat symptoms of what is best described as pelvic floor dysfunction. A Headache in the Pelvis, the popular book written by doctors Wise and Anderson, describes the details of the Wise-Anderson Protocol. Depending on what subspecialist someone suffering from pelvic pain sees, a variety of names are given to the condition the Wise-Anderson Protocol treats, including diagnoses of prostatitis, pelvic floor dysfunction, levator ani syndrome, interstitial cystitis, and chronic proctalgia. One of the emphases of the Wise-Anderson Protocol is to understand that all of these different diagnoses are in fact the same disorder. The only difference between them has to do with the location of the internal points that have formed within the pelvic floor muscles. This is documented by a 2009 article written by Anderson and Wise et. al. in the Journal of Urology. Those suffering from pelvic floor dysfunction experience a wide variety of symptoms including urinary issues (frequency, urgency, or hesitancy), reduced libido, sitting pain/discomfort, and pain in other areas in and around the pelvis. While theories have been proposed attempting to attribute cause to nerve-related or an organ pathology, infection or inflammation, these theories offer few remedies. 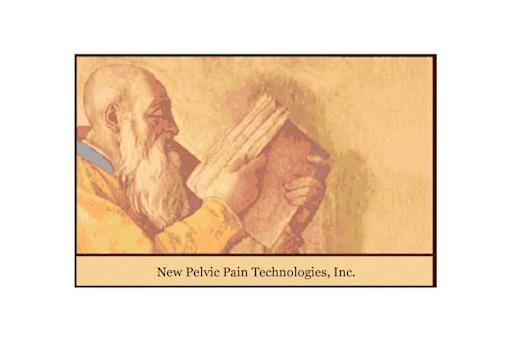 Psychologist David Wise, PhD and Urologist Rodney Anderson, MD have had clinical success in treating pelvic pain by treating muscle tension in the pelvic area and heightened nervous arousal. The methodology of the Wise-Anderson Protocol involves a specific physical therapy regime which includes training in the FDA approved Internal Trigger Point Wand. The psychologist-urologist-physical therapy team has developed the Wise-Anderson Protocol over the course of 22 years, based on their findings that chronic pelvic pain syndrome is a psycho-physical event, what Dr. Wise refers to as a local disorder (pelvic pain), clothed in a systemic disorder (chronic nervous arousal manifesting as chronic worry and catastrophizing). Reducing anxiety is considered the primary component of alleviating symptoms of pelvic pain in concert with the local relief necessary for the painful contraction in and around the pelvis. Over two decades, the Wise-Anderson Protocol has developed a behavioral/psychological therapy in the form of a relaxation method adapted specifically for pelvic pain called Extended Paradoxical Relaxation. Combined with external physical therapy and the relaxation protocol, the use of the Internal Trigger Point Wand has been shown to be effective at easing symptoms related to pelvic floor dysfunction. Chronic pelvic pain is an affliction affecting many men and women around the world. It manifests as a variety of symptoms, ranging from the uncomfortable and inconvenient, to severe disruption of any semblance of a normal life. Most conventional medical treatments are of little help, and invasive techniques such as surgery can complicate matters, and even worsen existing symptoms. Successfully addressing both the psychological and physiological factors of muscle based pelvic pain, the Wise-Anderson Protocol has been shown to effectively treat the variety of diagnoses that can be generically called pelvic floor dysfunction. The developers of this new protocol have presented studies on its efficacy in meetings of a variety of professional groups, including the American Urological Association, the American Physical Therapy Association, and the International Continence Society.